was an american poet, civil rights activist, dancer, film producer, television producer, playwright, film director, author, actress, professor and mentor to Oprah Winfrey. More information about her can be found on her web site. I think that quote about how you make people feel is beneficial to consider if you care about your life legacy. 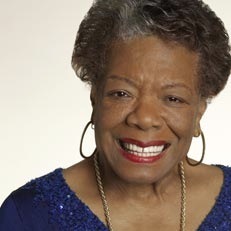 An example of the type of person Maya Angelou was can be seen in this video where she was mentoring the comedian Dave Chappelle who surprised people by walking away from a multimillion dollar Comedy Central contract because it didn’t feel right.